The upsurge in the real estate industry over the last few decades has given an impetus to home decor sector. It is estimated that the home design & decor market is poised to grow to over US$ 25B by 2017 from US$ 13B in 2010 fuelled by over 25 percent year over year growth. However, the history of Interior designing in India is as old as time. The footprints of interior designing can be clearly seen in the ancient designs of historical monuments. Today, interior designing as a profession is a consequence of the recent expansion in the economical and industrial condition of India. Interior designers are the professionals who are responsible for nurturing and enhancing the interiors and sometimes the exterior of a space. It might seem to be an easy-breezy occupation, but there are plenty of efforts an interior designer has to put, in the process of acquiring an individual position in the industry. They are supposed to go through a lot of brainstorming, thorough research, consider a high code of ethics and structure planning. It is a challenging as well as an assuring career perspective. For an interior designer in terms of remuneration, only the sky is the limit. After compiling a certain quantity of experience in the industry and building acceptable rapport with the clients, one can start their own firm and earn in accordance with their work in the market. Because of this fact, a considerable number of creative minds are getting inclined towards this career path with the passing times. Anyhow, we are living in the 21st century and witnessing the uncontrollable advancement of technology. With the advent of 'smart homes' in the area of real estate, the aspiring interior designers are already confronted to face the 'learn or die' situation. Encountering the technological revolution undergoing in the interior designing industry, infinite designing institutions are incorporating and introducing 3D printing, AutoCAD, V-Ray and so on in their course curriculum. Animentor Academy Udaipur, Rajasthan An academy with young and dynamic professionals from the industry sharing their expertise with the young aspirants to groom their personality in true mean. 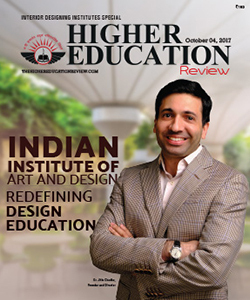 ARCH Academy of Design Jaipur, Rajasthan The institution is nurturing individulals to develop as innovative professionals and entrepreneurs with requisite skills and social sensitivity. Exterior Interior Kolkata, West Bengal The institute empowers youth by building employment capability through imparting value based quality education by way of skill-enhancing vocational training in design and all other pertaining segments. Hamstech Institute of Fashion & Interior Design Hyderabad, Telangana An institute with the sole aim of offering quality education and training in the field of Fashion and Interior Design with a clear edge in skill and innovation along with the capability of adapting to changing demands in the industry. 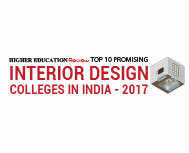 Indian Institute of Art and Design New Delhi An institute grooming design professionals with unique aesthetic sensibilities to suit the dynamism and competitive standards of the global design industry. JD Institute of Fashion Technology Bangalore, Karnataka An institute where design aspirants can turn their unique ideas into awesome, wearable designs in the exciting world of fashion. LISAA School of Design Bangalore, Karnataka A school that has a multidisciplinary approach to design education that promotes both creativity and experimentation, studying and learning in this environment helps the students to develop a unique perspective. Raffles Design International Mumbai, Maharashtra The institute conveniently located at Santacruz West in suburban Mumbai and offers a quality education that provides graduates with a well-rounded hands-on experience relevant to the industry. Rebanta Academy of Design Jabalpur, Madhya Pradesh The academy is designed for a new generation of asthetics and performing artists who share a passion for design and want to learn by making projects in a hands-on, intensive program. Unitedworld Institute of Design Ahmedabad, Gujarat The institute aims to create globally sought â€“after professionals who can exhibit their creativity and trigger novel trends with an extraordinary record of success in a short span.